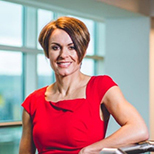 Becky has a track record in systems innovation, organisational change and leadership development, in the UK and internationally, and in leading networks. Her experience is an unusual combination of leader, manager, researcher, change agent and entrepreneur. She is known to be an energetic and enthusiastic leader of change and a forward thinker. She is an advisor to the Kings Fund/Health Foundation Readiness for Change Programme, and on the Advisory Board of the Bromley-by-Bow Unleashing Health Communities Programme, and the Shared Haemodialysis Care programme. She is also a nominator for the Ashoka network. Becky works primarily with the NHS and with local authorities in the UK and Europe. See her blog for further information. 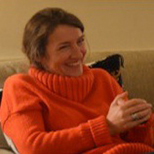 Jo Delree is a Senior Lecturer and CPPD lead for Mental Health and Learning Disabilities. Jo has worked in the NHS, before moving to the voluntary sector, where she managed services for individuals with autistic spectrum conditions and complex needs. Various management and staff development roles lead to her taking on the position of Deputy Chief Executive for an autism charity in the South East of England. Sara spent 16 years in front line NHS services. As a Paediatric Consultant at Whittington Health, Sara implemented ‘Hospital at Home’ – a population-based model of care that harnesses the resourcefulness of community nurses, local carers and local acute hospital teams to improve quality of care whilst reducing inpatient admissions, length of stay and use of Emergency services. Sara also led 'Talk Lab'- a trans-disciplinary consortium of film makers, creative designers, dancers and system change consultants. Talk Lab brought young people together with frontline health and care professionals to enable young people with long term conditions to lead fuller lives. 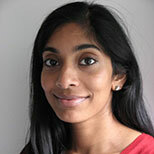 Sangeetha Sornalingam is a general practitioner in the NHS. She completed a Darzi fellowship in 2018. Sangeetha is interested in how new models of care can be introduced and bring change to healthcare systems, in particular within primary care. She is passionate about co-production as a methodology for service development within the NHS and reducing inequality in the system. 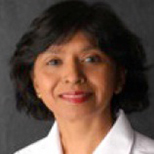 Sangeetha is an experienced medical educator and she has completed a PgCert in medical education. Her interest is in technology enhanced and integrated approaches to learning. Rachel is a passionate clinical leader with significant experience in organisational development and a proven track record as an effective change agent. She has demonstrable experience in leadership development and quality improvement through service re-design and role revision. Rachel has experience in coaching and supporting Darzi Fellows from 3 cohorts, and is currently working as a Management Consultant. Murray is a healthcare specialist with a background in nursing, social psychology and organisational communications research. His career includes clinical and managerial roles in the NHS followed by a director-level position, working internationally in commercial consulting. 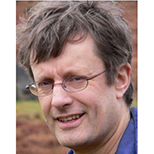 Murray now divides his time between working as an independent producer, journalist and publisher; as a special advisor to a range of networks and campaigns; and as Associate Faculty at a number of leading Universities. Murray also maintains a small private clinical practice, specialising in working with people affected by medical error. David Boyle is the founder of Think Tank New Weather, created to accelerate the rapid transition to a fair economy that thrives within planetary boundaries and a fellow at the New Economics Foundation and has been at the heart of the effort to develop co-production and introduce time banks to Britain as a critical element of public service reform. He was recently the government’s independent reviewer on Barriers to Public Service Choice (2012-13). David is the author of a number of books about history, social change and the future. His book Authenticity: Brands, Fakes, Spin and the Lust for Real Life (Flamingo, 2003) helped put the search for authenticity on the agenda as a social phenomenon. The Tyranny of Numbers (Flamingo, 2001) and The Sum of Our Discontent (Texere, 2001) predicted the backlash against the government’s target culture. Funny Money: In search of alternative cash (Flamingo, 1999) launched the time banks movement in the UK. His book Broke: Who Killed the Middle Classes? was published by Fourth Estate this year. He also writes history books. 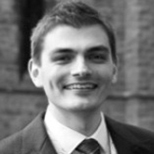 Seán is a health planning and policy consultant with experience of working at senior level with public and private sector managers, civil servants and politicians (both local and national), and a detailed knowledge of the public policy environment in the UK. 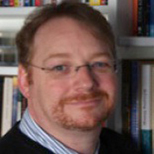 He researches and writes extensively on a range of policy and planning issues concerning the finance and provision of healthcare in the UK: these include economic evaluation of the use and allocation of resources, public-private partnerships, modelling acute hospital services, and performance measurement. 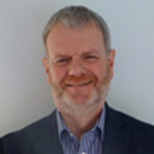 He has an interest in developing collaborative techniques for strategic modelling of whole systems in the public sector, with particular reference to healthcare. Andrew has over 20 years’ experience providing leadership and organisational development, and change management consultancy. Particular areas of expertise are leadership and strategy, organisational development, culture change, workshop facilitation, managing people, personal development and mentoring. 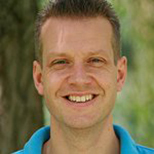 Andrew acts as Executive Coach to a number of individuals in different organisations. 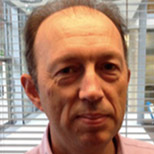 He has contributed chapters to the Financial Times Handbook of Management, and the Gower Handbook of Management Skills, and has written many published articles. 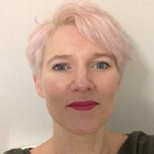 Tessa is an economist with 20 years' experience as an independent consultant and 10 years' experience in senior health planning and management in the NHS. Tessa obtained a PhD in the field of economics and health policy, selected for early digitisation as part of the LSE Historic Theses series. 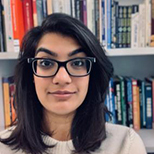 She specialises in mixed methods, evaluation, health and social care system analysis, population needs assessment, resource allocation and workforce planning and is an editor for the National Institute of Health Research Journal Series. Eleanor Dady started nursing in 1984 specialising in Occupational Health in 1991. Eleanor worked at Kings College Hospital Foundation Trust for a number of years as Resource Manager responsible for occupational health provision for Trust employees. In addition she had management responsibility for a number of private contracts which created income for the Trust. Eleanor gained further experience in both the NHS, private sector and most recently at University College London before being selected for the post of Senior Lecturer and Practice Placement Coordinator in Occupational Health Nursing for London South Bank University. She is a registered Specialist Community Public Health Practitioner in Occupational Health and leads the Contemporary Issues in Occupational Health Module placing particular emphasis on leadership and change management. She supports students and teachers in practice in a range of organisations both within the NHS and outside. She has a particular interest in organisational and individual interventions to reduce stress within the workplace. 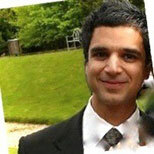 Rishi is an Anaesthetist, working within the NHS for fifteen years, and Stadium Lead Doctor at Tottenham Hotspur FC. Specialising in digital health, he works at NHS England as Clinical Lead for Digital Development and is Chair of the Clinical Information Advisory Group (CIAG) at NHS Digital overseeing the clinical governance of digital content for NHS.uk.An advocate for the safe use of technology in health,he worked at the Care Quality Commission where he co-wrote National regulations currently used to inspect digital health primary care services in England. He was later invited to brief the Prime Minister’s special advisor on the unique regulatory challenges within the sector. Having completed a Darzi Fellowship, followed by a National Medical Director Clinical Fellowship he understands the value of clinical leadership in healthcare. Nick is a respected and nationally recognised specialist in Lean techniques and operations management. He possesses a deep understanding of improvement science and large scale improvement programmes. Nick is passionate about the public sector and is committed to using his expert knowledge of techniques from other sectors to achieve improvement. Whether leading a team or working as an upbeat and effective member of one, Nick uses his practical experience and expert knowledge of Lean principles and staff engagement to ensure sustainable performance improvement. Martin’s work includes leadership development and organisational development. He works with organisations, health economies and nationally. National work includes facilitating the Medicine and Management Inquiry, taking Presidents of the Royal Colleges to Boston on a study tour to understand quality in systems and work on the dynamic between doctors and patients. In London he ran the Next Generation CEOs Programme for NHS London and co-directed the first Darzi programme. Work includes the Leeds Institute for Quality Healthcare programme and development for clinical leads at Leeds Teaching Hospitals Trust. 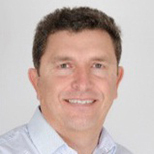 Prior to setting up his own consultancy company in 2010, Exeter Leadership Consulting, Jim was Director of Leadership South West and a Teaching Fellow, in the Centre for Leadership Studies at the University of Exeter Business School, for several years. Leadership South West provided and promoted leadership development across many private sectors of industry as well as the public sector and ran the Institute of Directors (IOD) Chartered Directors programme in the South West and a suite of executive development programmes. Tony works to help organisations get the most from the data available to them. In healthcare this is a growing challenge as digital datasets expand. He uses tools for data analysis, data modelling, data visualisation, text analytics, and machine learning, as well as blending open and external data with digital patient data. He has previously worked with customer feedback for organisations ranging from Audi, Apple, Bentley, Coca Cola and Disney right through to Yahoo. 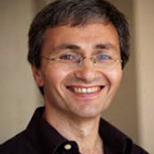 He is fascinated with connecting organisations with their users, their customers and their patients. 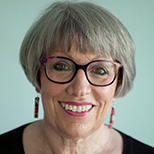 Jane is an Organisational Development Professional specialising in Executive and Board Development, Leadership Development, Team and Individual Coaching, Staff Engagement, and Health, Wellbeing & Resilience and Organisational Change in the NHS. Jane has worked with the NHS for 39 years, which includes undertaking 16 years of interim/freelance projects as well as having been an Organisational Development Lead in 4 NHS organisations. 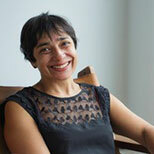 She has worked extensively with boards, Non-Executive and Executive Development. Jane has worked in all NHS settings, acute, primary care, specialist hospitals, at strategic and at a national Level where she was a national advisor (sub contractor) in the Department of Health, for the Kings Fund, and the NHS Confederation. Jane also works in Further Education, Local Government, Not for Profit and start up organisations as a freelancer/sub contractor. 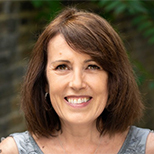 Jane has a PhD in workplace resilience, health and wellbeing, and MSc in organisational change, and has been an Associate with three different UK Universities. 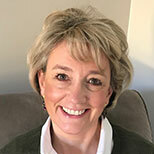 With over 30 years working in or with the NHS, Rebecca is an experienced director, coach, organisational development practitioner and clinician who has designed, facilitated and led inter and intra organisational change. She understands the reality of working in complex environments that require highly developed skills in relationship building. Carol has over 25 years’ experience within the health care sector providing clinical, innovation and transformational leadership. In 2014 she was listed as a top 50 innovator in health by the Hospital Service Journal for her pioneering work leading the development of the first NHS skincare brand. She was a Clinical transformation Fellow with NHSE for two years leading on change projects, knowledge management platforms and international programmes. Particular areas of expertise and interest are innovation, knowledge management, digital health transformation, network leadership, coaching and mentoring. Carol has presented her research at Stanford University MedX and is a mentor for the NHSE clinical entrepreneurship programme. Carol is a registered nurse, holds an MSc in Innovation Management and Entrepreneurship and acts as a knowledge broker for the NHS/LSBU Source4networks programme. Lisa is a writer, coach and mental health campaigner. She uses her understanding of stigma, including self-stigma, to raise awareness and reduce the negativity still associated with mental illness. Her aim is to help people to be the best version of themselves at work and in the rest of their lives. Lisa joined the NHS in 1973, spending the first half of her career as a nurse and a health visitor, and the latter in NHS management, including 13 years as a mental health trust chief executive. 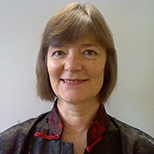 She was an Independent Member of Council at the University of Sussex for 8 years, and a NED at the NHS Confederation for 7 years, during which she chaired the Mental Health Network and was senior independent director. In 2012, she was awarded a CBE for services to the NHS. These days Lisa writes and speaks at NHS and related events, and coaches new managers, clinicians and executives within the NHS and beyond. She is Vice Chair of the Mary Seacole Trust and volunteers as a Samaritan, helping run her local branch. As well as nursing qualifications, Lisa has a BA in Psychology and an MA in Public Sector Management. In 2016, she qualified to use the Myers Briggs Personality Type Inventory in her coaching practice. Her book, Being an NHS Chief Executive, came out in June 2018. It is part memoir, part how-not-to-do-it guide. Follow Lisa's blog and Twitter. 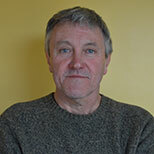 Irwin is the co-founder and director of the Kafka Brigade in the United Kingdom and Ireland and he is a founding member of the Glencree Sustainable Peace Network (GSPN) in Ireland. Irwin’s research, teaching and advisory work focus on the importance and challenges of exercising ‘adaptive leadership’ in order to make progress on ‘wicked problems’. He has taught in executive education programs co-developed and delivered by Harvard University, Oxford University, Warwick University and others. 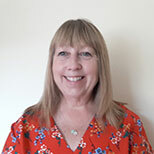 Liz has over 25 years of health and social care experience having worked in the NHS and the private sector before setting up her own consultancy. Her experience and expertise include the design, leadership and delivery of complex programmes across organisations internationally and nationally. Liz has both process and people skills with Lean expertise, is a qualified coach and is qualified in counselling for organisational change. 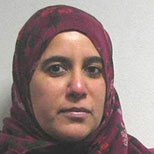 Naweeda is the Project and Event Coordinator in the Health Systems Innovation Lab at London South Bank University. She will be providing support to all the Darzi Fellows throughout the programme. Naweeda has a BA (Hons) in Business Studies. Naweeda has 10 years’ experience in office management, administration and event management. She has previously worked for the Charity sector organising charity fundraising dinners, sponsored walks, Guinness World Record events as well as Expos held at Olympia and Alexandra Palace. Antonia O'Callaghan is the Project and Event Coordinator (Assistant) in the Health Systems Innovation Lab at London South Bank University. She supports the Primary Care Quality Academy and HSIL programmes. 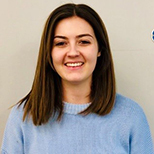 Antonia has a BSc (Hons) in Business Studies and Marketing from Canterbury Christ Church University and has previously worked in event organisation within the public sector. She helped organise events for people suffering from Dementia as well as working on projects to help improve the health and well-being of the residents in Wealden. For further information on the team's interests and achievements, see the team brochure (PDF File 664 KB).